Make sure you have the right tools for your next construction or repair project. 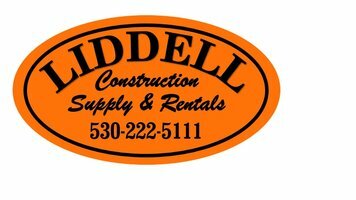 Whether you’re repairing a pool, pouring a foundation or driveway for your clients you can find the tools and equipment you need at Liddell Construction Supply & Rentals. While concrete tools don’t vary significantly in design from manufacturer to manufacturer, they can vary in quality. We are stocked with an extensive inventory of high-quality equipment and tools to last you for many projects to come. Using concrete specific tools will ensure everyone's safety and that the job will be done right the first time. Make any concrete construction project easier with our wide selection of high-quality concrete equipment and tools for professional contractors and do-it-yourselfers. You’ll be prepared for every step of the process from prepping and form building, to spreading and placing, to finishing. Liddell Construction Supply & Rentals carries several brands of vibrators and concrete finishing tools and our team is looking forward to discussing your options in person or over the phone.